Actual Awareness: My Thoughts on the “Cryptic Facebook Statuses for Breast Cancer Awareness”! | I am JuJu! ← Are You The Boss? Actual Awareness: My Thoughts on the “Cryptic Facebook Statuses for Breast Cancer Awareness”! Ok…I don’t know about you, but I’m totally confused by the methods that people use to gain awareness for various causes. I’m sure that most of you are aware of the different status changes that women are doing on Facebook in honor of Breast Cancer Awareness. In the past, women have changed their statuses to a color with no other information. What did the color mean? Well, it was the color of their bras. There was another wave of status changes dealing with women’s pocketbooks, and now, involving an amount of time one will spend abroad in a foreign company. The amount of time and place correlate with the individual’s birthday (day and month). I’ve sat quietly by this past year as all this has gone on, but today, after receiving my 4th note about participating in another “Facebook cryptic status change for breast cancer awareness” and making sure that we don’t tell men about it, I have a few things to say. The first things is, what in world does changing our Facebook statuses to the colors of our bras or telling people that we are “spending 26 months in France” have to do with breast cancer awareness? And why are men not supposed to know what we are doing? Aren’t men effected by breast cancer too? When I think of it, men kind of have a double whammy! Not only can their wives get breast cancer, but so can they! So it confuses me why we aren’t involving men in any type of awareness campaign. I’ve tried to think of the reasoning behind these cryptic status changes. Maybe people are thinking that people see all of these messages and ask what it is all about. After an unspecified amount of time it comes out that this all has to do with raising awareness for breast cancer. Maybe that works, I don’t know. I’m sure that many of you would say that I’m a “poor sport” or that I’m a “fuddy duddy”, but when I was thinking of this game, for lack of a better description, I was thinking about my sister, Jenny. What good does sharing these silly things do to help raise awareness? What does this do to help people like Jenny? And quite frankly, don’t you think we have a LOT of awareness? I know that our family and friends are quite aware that breast cancer exists. What I think we need to be focusing on is breast cancer prevention, early detection, and finding a cure. Why aren’t we sharing information like that? Is it too embarrassing? Is it taboo? Could you imagine how powerful those type of status changes could be? If it caused even 1 person to do a self-exam and find that lump in an earlier stage, I would count that as a positive breast cancer awareness & prevention campaign. So instead of telling people that I’m going to spend 26 months in France, I’m going to tell you a bit about my sister. 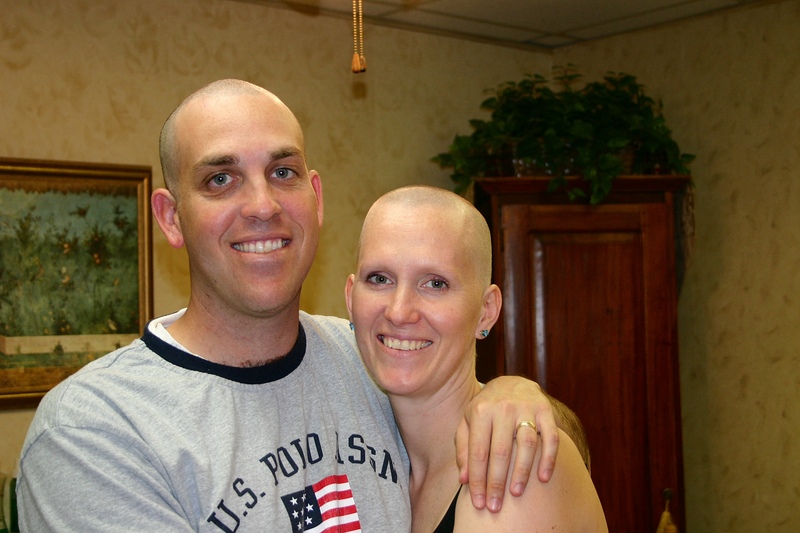 She was diagnosed with breast cancer a month shy of her 31st birthday. She found a lump while doing her monthly self breast exam! I just wrote a guest post on her blog about what I remember from walking that road with her. You can read that post here! She underwent a bilateral mastectomy and 8 rounds of chemotherapy. We are so blessed that she has been in remission for over 6 years. She has embarked on a new journey! She has over 1300, yes 1300, items on her “life list” that she would like to conquer! Some of them are simple like making homemade jam and some of them require a lot more preparation, like running a marathon, climbing Machu Pichu, and one of my personal favorites, Dancing with Ellen on her show! You can check out her full list here. She started blogging her journey this past year and hasn’t looked back since. 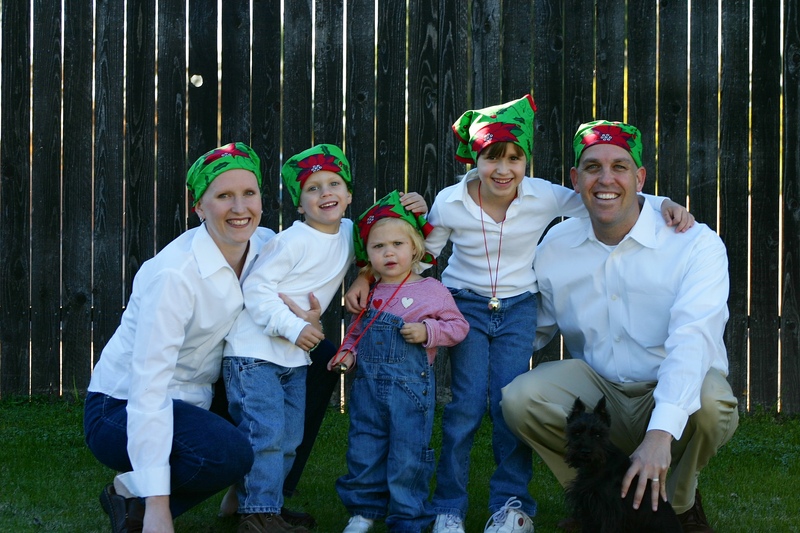 So in honor of my sister and in memory of people like Gina, our friend Brian’s sister, who lost her battle with cancer just a few short months ago, or my friend Molly’s mom, who lost her battle several years ago, I am going to be INTENTIONAL about doing something that truly can make a difference. I don’t think any different about my friends who participate in the “Facebook status changes”, but now you know why I don’t! So I encourage you to be bold in telling others the steps they can take to detect breast cancer early. I also encourage you to participate in a race, a fundraiser, or doing something on a local level, like helping an individual out who is going through treatment right now! You could take the family a meal or even give a gift card to a local restaurant or grocery store. I know that so many friends and strangers stepped up and helped us when my sister was going through treatment years ago. Well…that’s it and in the words of Forrest Gump “That’s all I have to say about that!” Thanks for listening! This entry was tagged breast cancer awareness, cure, early detection, facebook, prevention. Bookmark the permalink. I am standing here applauding you! THAT was one of best posts about creating awareness I’ve ever read and I couldn’t agree more that the stupid FB updates are a huge waste of time. Julie, you are right on! What a beautiful heartfelt message of the honest truth. I had tears and seeing Jenny fighting the fight of her life just broke my heart. You both are true, strong inspirations!! I have always thought this as well about the FB “games”. A friend’s brother spoke up about how they don’t bring awareness either, especially hiding it from men when they too suffer from breast cancer as well. Thanks so much! I dearly love you and your sister! Love this so very much!!! I cannot stand it when I get those invites and always thought it was so stupid and did raise awareness at all whatsoever. Who cares what bra I have on? And the days spent out of the country? Doesn’t even make sense. So, once again, you are amazing!! Love you! You said everything I have been thinking! I don’t understand it, and to be honest, everyone who posts about it loses a little bit of credibility with me. Here, here!!!! As a past best in State award winning jam maker, I’d be honored to assist your sister take another item off her list. If she wants to make jam, I’m here to assist her. Just let me know. It would be both my pleasure AND my honor. I am an AVID supporter of Supporting to find a CURE for NOT only Breast Cancer but for ALL TYPES OF CANCER!! I really enjoyed reading your post. Thank you for sharing your thoughts and story of Jenny. Ironically, I found you through FB… my sister liked your post so much she put it on FB! brilliant! i reposted this. i started dumping the goofy updates a long time ago, but you managed to put into words why i wouldn’t play along. thank you for your voice of reason and God’s deepest blessing on Jenny and your family. Great post! There was one a while back involving being so many weeks and having a craving. Being that I was in the middle of infertility treatments when my cancer was diagnosed, I was pissy. I try to remind people that those cryptic posts do NOTHING to raise awareness. If you really want to help, there are ways that benefit people and the cause, even if it’s not as fun on FB. Got my mammogram this month! 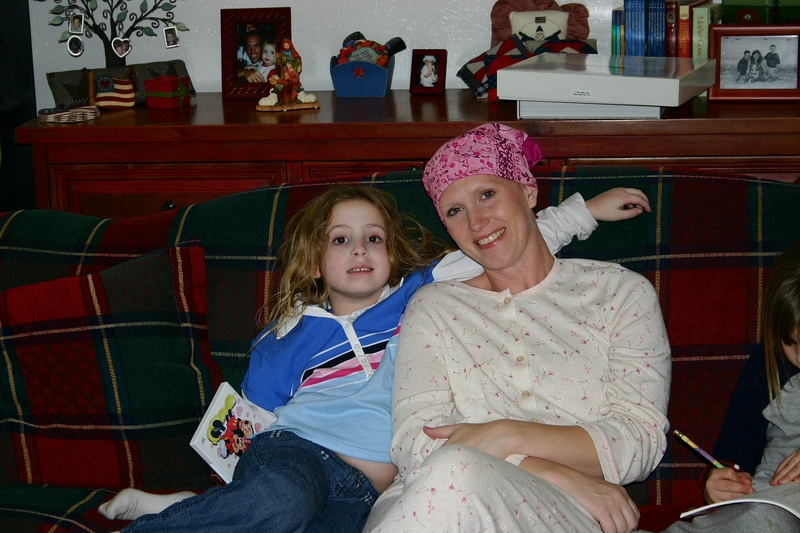 I lost my mother to breast cancer when I was 7 years old. I am now just shy of 44 years old with a husband and three children, the youngest is just 19 months. We lost my cousin on my mom’s side of our family only a few years ago. She was just 45. Needless to say breast cancer scares me. Thank you for a great post. You are absolutely right. Exactly! Thank you for this post. People may have the best of intentions but it makes me a little crazy that breast cancer gets such a “cutesy” treatment at times instead of dealing with its real face: families and women and men hurting. Why would you complain about any effort to increase breast cancer awareness. This is just ridiculous. I have lost my best friend of over twenty years to cancer and was at her side through it all, and any effort large or small is good enough for me. I think anything that can bring levity to such a dark and painful experience is good. I think you are just to serious. Lighten up. I truly am beyond sorry for your loss. But as a survivor and as a nurse, I do not believe these facebook statuses do little (if anything) but cause annoyance. I don’t think Julie is meaning to be serious. She actually is one of the most laid back, funny people I know. Awareness is imperative but other methods would be more effective. And to be honest, many cancer organizations use a lot of their money for administrative type costs instead of going to helping women with cancer or research. Research is the answer to a cure. Thanks for commenting and for standing by your friend. I just respectfully disagree. Crystal, I feel like you completely missed the point. I really am not sure you read the entire thing thoroughly. Did you read that Julie almost lost her sister to breast cancer? Julie is one of the most laid back people I know. If you want to leave negative comments, I assure you that several of us will be here to defend this amazing woman!! I will be first in line! Again…. lighten up. I did lose a friend as close as a sister and again any effort to increase awareness is good. I did not insult your ‘amazing woman’, in fact said nothing negative at all toward her, her struggle or anyone that knows her. I simply reminded people that the cryptic messages in Facebook are there as an honest effort to increase cancer awareness and people that put others down for this attempt are just too serious, and need to find other things worth complaining about. Maybe these cryptic messages might enlighten someone and motivate them to fund raise, or do something productive to fight cancer. Maybe it might remind them it is time for there annual self exam or mammogram, and actually save a life. So for all those who think I am being negative; if telling people to lighten up is negative, then I do apologize for offending you. And the last time I checked different opinions are a natural part of any discussion. I too am very sorry for the loss of your friend. I have walked the same road you have and I know how painful it is. It is walking that road that prompted my writing about raising actual awareness. I have NO issue whatsoever with raising awareness. The entire point of my blog post was that I believe those “cryptic statuses” do NOT raise awareness. I truly believe they cause confusion. I have been overwhelmed by the support and messages from people who have battled cancer or have lost loved ones to this dreadful disease that believe as I do that they do NOTHING to help raise awareness. Honestly, I questioned at first, whether you read the entire post as I specifically said that I don’t look down on those who participate, but gave my reasonings for why I don’t. I just believe that there are better ways to raise awareness. I listed some specific ways how we as women could really use our FB statuses to reach people and encourage them to do self exams, get their mammograms, or live healthy lifestyles. My issue was clearly with the lack of awareness & the secrecy involving the status changes. There should be NO secrecy if you are actually trying to raise awareness. It’s not a matter of having “levity”, it is a matter of accomplishing the goal of increasing awareness. I have no problem that you have a differing opinion. Clearly, my opinion is not the same as yours and I used this platform (my blog) to share that opinion. I appreciate your point of view and truly wish you only the best. Thank you. And blessing to you as well. Quite a debate. Thank you for letting me be involved. Not popular, but involved. Well said Julie. Jenny is lucky to have you as a sister, friend & supporter. Cancer has played a large impact in my family & I recently lost a friend to cancer. Thanks for spreading the awareness. You go girl! I’m so glad that I am not the only one frustrated with these stupid, little games that really amount to NADA ;} I’ve lose a father, several aunts, a close friend and my dear cousin in the past five years to cancer so I totally agree…we are all more than AWARE that there is cancer out there! Like you we make mindful changes to our eating and our health and share it with our family and friends to prevent cancer as much as is possible. Attitude is another thing that we work on…being grateful for all that we have and our health and that we are fortnate enough to wake up every day and be with our children. Love your post! My little sister is a survivor!! Got the news Monday that after 17 months of prayer, healthy eating, surgery, radiation, chemo, exercise, natural supplements, (did I say prayer), green tea etc…. Do more than what the medical field tells you…LOOK AT THE BIG PICTURE. You can do it, ask for help, stay strong and stay focused.